One harsh winter in 1900s New England, Ethan Frome toils at his farm while struggling to maintain a bearable existence with his forbidding wife, Zeena. When Ethan takes Zeena's cousin, Mattie, home from a dance he is entranced: Mattie brings with her the possibility for happiness, and with that she quickly becomes a symbol of hope for Ethan. 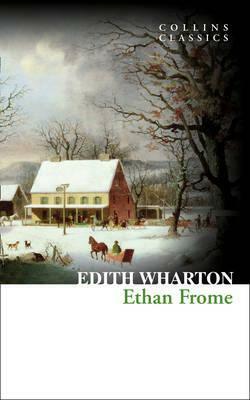 First published in 1911, Ethan Frome is an intimate look at choices not made and lives not yet lived. Told through the eyes of a city outsider, this heartbreaking portrait of three lives haunted by thwarted dreams remains for many the most subtle and moving of Wharton's works.